In Part 1 we discussed what fiber is, does, and how much we need. To recap, nearly all governing agencies and nutritional advisory boards recommend that we need somewhere in the range of 20-40 grams of fiber per day. Less for women, children and the elderly (defined as ‘over 50,’ ha!). I proposed that we shoot for a similar amount, 25-50 grams per day, but we should only be counting what has traditionally been called “soluble” fiber, or the type that we now consider prebiotic fiber. We also discussed that it is probably not necessary to eat an exact amount every day, and even taking a day or two away from fibers is maybe a good plan, in line with ancestral eating patterns. In Part 2, let’s discuss food choices designed around getting as much fermentable/soluble/prebiotic fiber as we can. This post is not going to be filled with all those crazy 30 letter words like “Galactoglucomannan” and I really don’t even want to discuss fiber types like gums, mucilages, pectin or resistant starch. When discussing real food, I think it’s much better to just think in terms of the food itself. Also, you’ll see that not many fiber charts have been developed to show the soluble/insoluble/prebiotic content of foods, so it’s probably best to just count ‘total fiber’ when looking at real food. 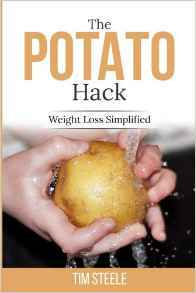 Resistant starch confuses things further. I think it’s safe to say, for those that want to count fiber intake, that ‘Total Fiber’ as seen on nutrition labels of whole foods is about 2/3 insoluble fiber and 1/3 soluble. 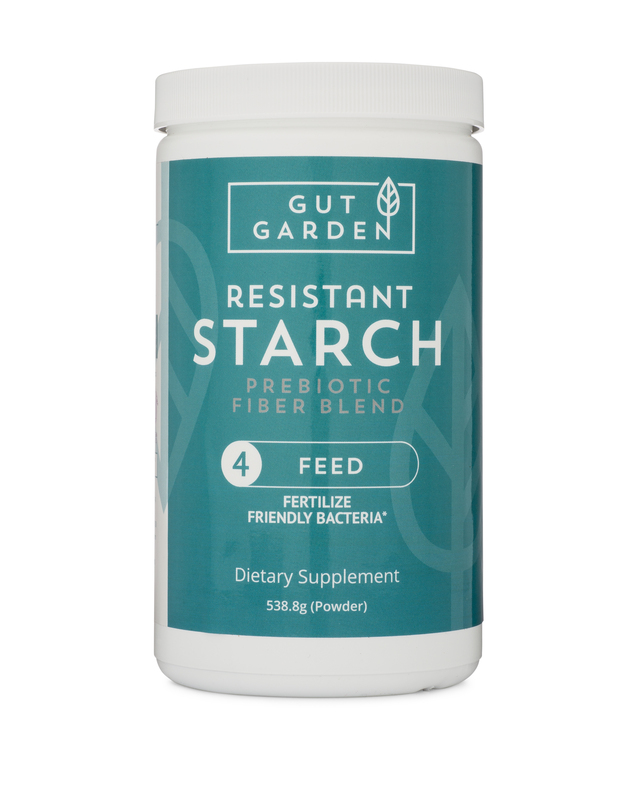 In starchy foods, I think it’s safe to say that about 5-10% of all carbohydrates are resistant starch. There are some typical fiber charts found at the bottom of this post for reference. Dinner – Fried Chicken, mashed potatoes and gravy, 2 pieces of bread, margarine, maybe a veggie like green beans or corn (but probably left on the plate). I don’t see ANY fiber in that! Maybe a bit. Certainly not 15 grams, and probably 3-5g of prebiotic fiber, nearly all from the bread. 3000-4000 calories. 1500-2000 calories with lots of healthy choices. But still, not a whole lot of prebiotic fiber. The raw and cooked vegetables are a big jump in wise food choices, but most typical salad vegetables and fruits just are not as fiber-rich as one would suspect. Typical Salad-bar Type Salad – 10-15g total, 2-5g fermentable/soluble/prebiotic fibers. 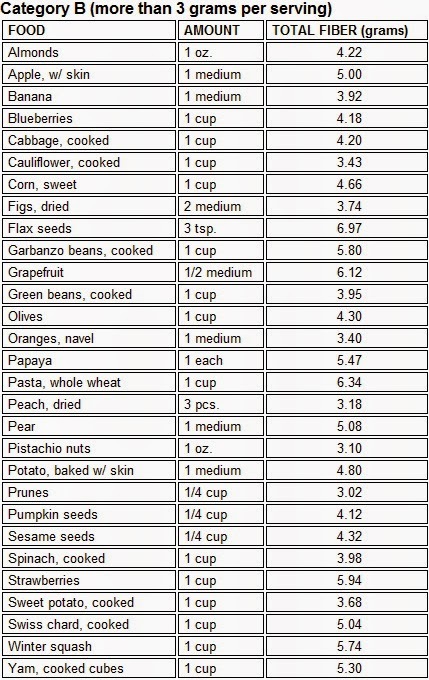 Typical “Paleo” days contain roughly 10-20g of total fiber with 5-10g of fermentable fibers. Simply adding cooked, hot potatoes and rice to a paleo type diet is problematic for a lot of people. It usually leads to some initial weight gain unless some forethought is given to reducing calories a bit in other areas. However, adding in starches does add a bit more fiber to the diet. If you have read any WAPF information, they are in favor of including many whole grains. This will add a whole new layer of fibers not found in the typical low carb Paleo or PHD type diets. The problem is that now most of us are at a level of “carbs” that we don’t like and may see a return of weight we so desperately needed to lose. Along with some extra calories also comes some extra weight in the large intestine as your gut flora discovers this amazing bounty you are feeding it. A well-fed large intestine may weigh 6-10 pounds when full. A dehydrated, low-carb, fiber-poor large intestine may only weigh half that. Well, we have to eat something, right? Might as well make each bite count. I think that one problem is that we get comfortable eating a certain way because we find it keeps our weight stable and it’s easy. I’m all for this, but with a few easy tweaks, you can turn almost any diet into a diet rich in fiber and especially fermentable, prebiotic fibers. I HATE counting the bits of food that I put in my mouth! I don’t count calories of food or grams of fat. 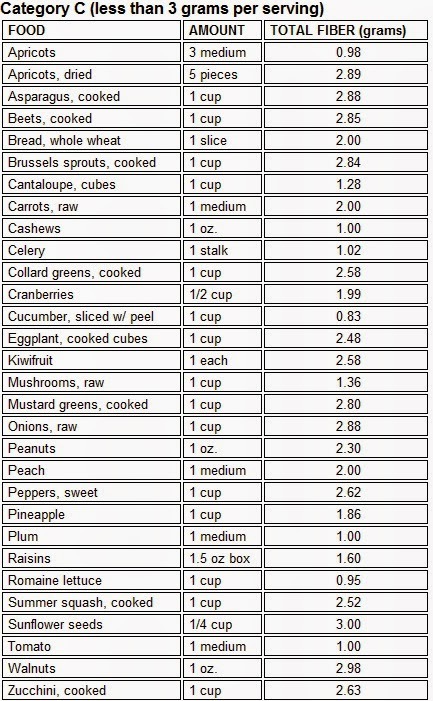 I think it’s counter-productive, but it can be useful just to get some perspective on what you actually eat. In that regard, I’d just like to point out that learning what foods are high in prebiotic fibers will be helpful if you include some of these high-fiber foods in your diet regularly. 1500-2500 calories, 50-100g total fiber, 25-50g fermentable/soluble/prebiotic fiber. Tricks: Pre-cook beans, potatoes, or rice and cool. Eat some ancient grains like teff, quinoa, or black rice occasionally. Try unconventional salad items such as Jerusalem artichokes, dandelion greens and roots, parsnips, raw beets, cold beans, etc.. Make polenta from corn or teff and serve cold. 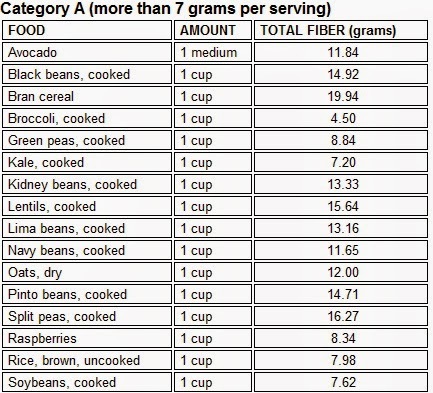 I think the trick is to just simply incorporate these high fiber foods into your daily routine and do it regularly. There is no secret amount. Don’t count the grams, but if you do, I think you’ll see you can get 50g of total fiber rather easily, especially if you remember to count the added bonus of resistant starch. And also we thought it might be nice to make a list of high-impact foods high in fiber. Make it your New Year’s resolution to keep these on your weekly shopping list and learn new ways to use them! Next up, we’ll discuss fiber supplements. What to take and how to buy. 23andMe Genetic Tests Now Sold on Amazon, $99!